The Root Canal Treatment is done to repair and save a badly damaged tooth. 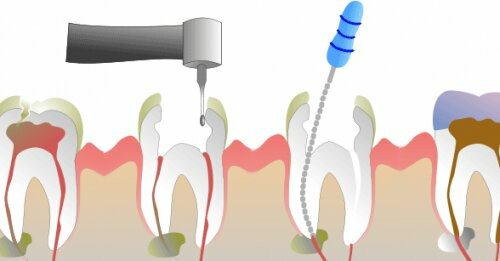 It is a procedure which involves the cleaning of canals inside the tooth root. Some decades ago the root canal treatment was painful. With advancement in dental treatment and local anesthetics most people have less pain with a rotten tooth. In fact it is more painful to live with a decayed tooth. The procedure involves removing the diseased tissue from the tooth. It is then resealed and filled to get rid of the infection.